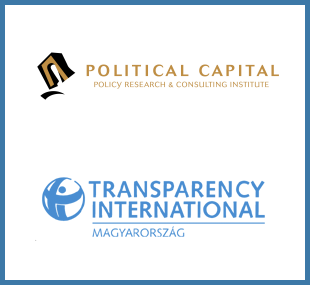 Political Capital and Transparency International Hungary see a severe risk in the law on campaign financing; therefore they propose to amend Act LXXXVII of 2013. For reasons elaborated below, the act on campaign financing adopted without prior professional consultation is as good as an invitation to establish sham parties. As a result, billions of HUF of public money may drain away for no purpose. It has become much easier to meet the requirements for nominating candidates for MP, since running 27 individual candidates, that is collecting 13 500 signatures of recommendation from voters, is enough to have a national party list. It is worth – even for a group of friends – to join and establish a political party, as they can easily get access to state support for campaign financing, to the tune of hundreds of millions of HUF. Even though the more modest support of 1 million HUF (€ 3,400) that individual candidates are entitled to receive must be accounted for item by item, support granted based on party lists might as well be justified by fictitious invoices. If such a sham party is able to field 106 candidates, they can pocket as much as 597 million HUF (€ 2 million) even if they do not cherish genuine political ambitions. While the 1 million HUF campaign support awarded to individual candidates will be transferred to a card issued by the Treasury, parties with a national list will receive the state support in cash. Depending on the number of individual candidates a party is able to put up, the amount will vary between 149.25 million HUF (€ 495,000) and 597 million HUF (€ 2 million). While the law regulates in detail how individual candidates are required to account for their campaign spending, it does not oblige parties, which enjoy a much more generous funding, to account for their expenses item by item. Parties do not risk anything. While individual candidates have to pay back the state support if they fail to win at least 2% of votes, parties will not lose a penny of their several hundred million HUF support even if they do not get one single vote for their list. The law must be amended in a way that parties, which receive public funding in cash, be subject to as tight accounting rules as individual candidates receiving campaign funding on a treasury card. should a party fail to gain at least 1% of votes, it is obliged to pay back the total amount of state support for campaign financing (the threshold for the minimum amount of votes must be lowered to 1% for individual candidates as well). Only the proposed modifications to the law can prevent billions of HUF of public money from finding its way to sham parties established in the hope of pocketing campaign support.